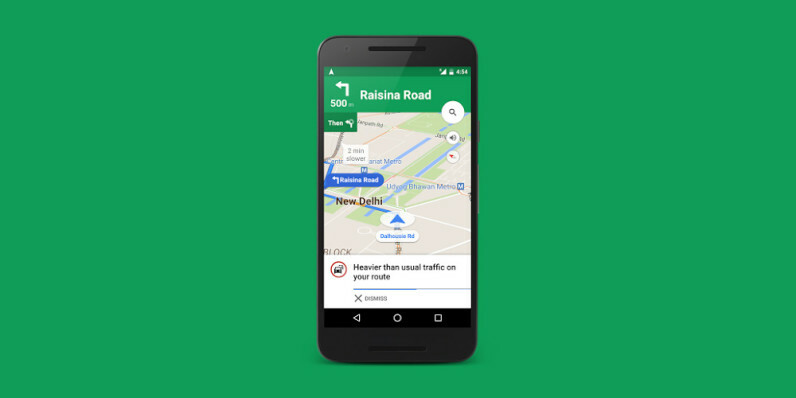 Google has updated its Maps mobile apps today with a crucial feature for India: improved traffic alerts. The company says that when you use navigation mode on Android or iOS and enter your destination, the app will alert you about upcoming traffic conditions on the way to help you identify the quickest route. If there’s a congestion up ahead during your trip, Maps will let you know as soon as it can and tell you how long it estimates you’ll be stuck in traffic. It’ll also suggest alternative routes and explain which ones are fastest or have the least traffic. The company launched this feature for users in the US last May. Along with the real-time traffic information that Google introduced for 12 cities last year, it should make Maps more useful for people in India looking to get around town quicker.